Too many opinions about church sound? Here's how to handle it. Too many opinions about church sound? Here’s how to handle it. Mr. Opinionated is approaching the sound booth…again. Do you pretend like you can’t see him and walk away? Or, listen to his hundredth complaint about how loud it is and pretend like you are going to do something about it? The truth is, there will always be opinionated people (maybe you used to be one of them). They want to be heard because they believe their way is the best way. Considering they will always be around, I want to give you a few pointers on how to deal with complaints when they come in. Shelve it until you hear the same complaint from multiple people. When it comes to any part of an organization, all complaints should be shelved until you hear it from at least three different people. Otherwise, you are going to waste loads of time trying to accommodate everyone. I have witnessed a non-profit organization implement loads of new procedures simply to accommodate one or two people. The result: wasted staff time, overly complicated procedures and unending frustration. Then, the new procedure becomes ‘the way we’ve always done it’ and is impossible to change…all because of one person’s complaint. Don’t let this happen to you. Instead, listen to the complaint, write it down, be friendly and wait for someone else to express the same complaint before wasting time searching for a solution. The most common complaint is, “It’s too loud!” For most, this is simply a result of them never being around subwoofers. So, the low frequencies they are not used to hearing startle them. Others may simply have sensitive hearing, so be sure to have earplugs available. There is also a good chance that it is too loud, but the answer is generally not turning down the main fader. You see, when someone perceives sound is too loud, it is not the overall sound – it is a certain frequency range. So, you need to analyze the frequency spectrum to see what is sticking out and apply EQ as needed. Another common complaint is about the drums or guitars being too loud. This is generally a result of someone not being used to drums or guitars being a part of worship. For those people, they will just have to get used to it. But, maybe the drums really are too loud. Are you using acoustic drums in a small to mid-sized room? If so, you need to have some type of shield and sound absorption around the drums. Otherwise, the natural sound coming from the drums will be overwhelming. You don’t need complete isolation, as some would believe. A five-foot drum shield with sound absorption panels behind the drums will make a world of difference. If you don’t want to use a drum shield, try using different sticks (like these). Keep in mind, your drums should always be mic’d, even if you are in a small room. There is no other way to get a full sound out of the kick, toms and snare. If someone is complaining about not hearing the vocals, it is probably legitimate. I have been in many services myself where the vocals get buried deep in the mix. And, if you can’t hear the lead vocal, it is quite hard to sing along. I get it, it is tough to learn how to keep vocals on the top of the mix. Some sing soft, some sing loud, while others do both within the same song. Good news is, there are a few simple things you can do to fix these problems. What are other common complaints? What other complaints do you hear about church sound? Share in the comments below and I will do my best to help you find a solution. Hey Peter – thanks for the comment. I recommend you narrow down your library to 20-30 ‘active’ songs. Then, introduce a new song about once per month while retiring one of the older songs, keeping your library around the 20-30 mark. When you have more ‘active’ songs than that, the band is not able to keep up. I served 40plus years doing sound. Built my own equipment early on. Played in a group in the 70’s traveling 5 states. Another group from 05-11. So I know both sides of the fence. Listen to the speaker up close (no mike) and make them sound like they are close. Had people from large churches who had systems multiple times more costly come and hear our sound system comment about the high quality sound they were hearing. Comes down to the operator. Once had a guy complain about something frequently. It pretty much stopped when I asked him to come up and help me run the sound. I’m 73 now and have been retired from sound for four years. Still play guitar once a week. The way it is handled at our church is two-fold. Once upon a time, long before I arrived, a CD was played with a dB meter to determine the maximum volume allowed during a service. When I first started doing sound there, the stage volume was that loud based upon measuring C fast on the dB meter. But using a combination of taking great pains to tune the sound system for every seat in the room, using compression in a variety of places, going to IEMs and switching to digital drums, and measuring A slow, we now run several dB below that threshold on average. 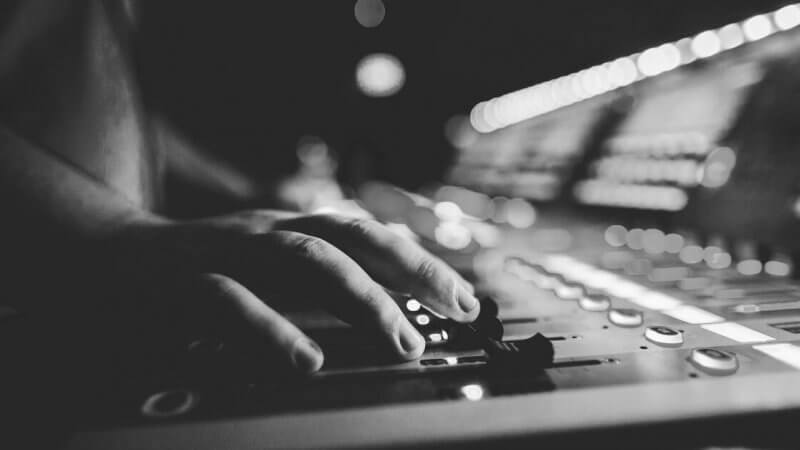 How we handle complaints now is that we keep a log of the levels for each song, and as long as we are in that parameter, the Pastor takes notes and asks questions, but will defend the sound team. All complaints (and compliments) are fielded via comment cards so there is a written record for the staff to address. Wow! I am impressed that you guys keep a log of levels. Definitely a great way to dismantle loudness arguments – you have data to back it up! I became very familiar with the laws of my local OSHA (Occupational Safety & Health Administration) and I complied. [NOTE] You can be sued for hearing damage!. So I adjusted our volume levels based off their standards. Also, I have earplugs available for anyone. We are never over 105 dBs for 15 min and our preashing level is never over 98. Our service is perfect, legaly. The problem I’m having is with wireless mic signals. We have a reader that uses mic9 the last mic in our praise team. There’s always a questions about why his mic was not on when he starts reading. We have instructed him to keep it on his lap until ready. But we still have a slight delay when he starts. Its like the mic goes to sleep like a computer until you shake the mouse. He is not far from the antena, about 11′. How can I avoid this problem, and should I get a lapel mic for him? I cant move him. Hey Ken – I have never heard of a problem like this with wireless mics. What wireless transmitter/receiver are you using? 98db preaching! Wow. I’m typically in low 70’s for preaching. We run mid to high 90’s peaks for worship. Very rarely hit 100. What is your recommendation for a good level to set dbs to? I know the room plays into this heavily, but what are your general thoughts?